Now enjoying its second year serving great BBQ, the Divine Swine credits its success to genuine BBQ, keeping its preparation simple, traditional, and honest. 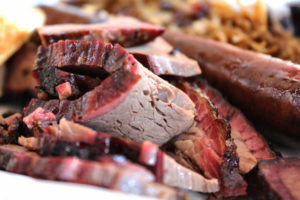 The meats are smoked daily at temperatures of 250 or below with apple and hickory woods by indirect heat. Low and slow pork and brisket smoking can take up 10-12 hours. 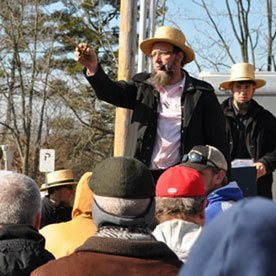 As in true barbeque tradition, once the products freshly prepared for the day are consumed, that item is sold out for that day. The Swine can cook upwards of 250 pounds of pork, brisket, chicken and ribs daily. The Divine Swine BBQ meats are not served smothered in sauce, and guests are encouraged to dress their own BBQ with one of their homemade sauces ~ Kansas City Sweet, Carolina Style Vinegar, Mustard Sauce and Spicy Bourbon. 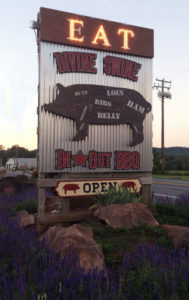 The Divine Swine also offers house-made sides including mac & cheese, freshly prepared cole slaw, corn pudding, fresh cut fries and hush puppies with a signature dipping sauce. Guests can end their meal with a cherry bourbon brownie built for two or traditional southern banana pudding. 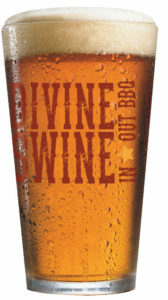 The Divine Swine Brewery serves a selection of hand-crafted beers, and a variety of Mount Hope Wines. Lancaster County Ciders are also served on tap and available for mix-a-six to take home with your BBQ. The Divine Swine prides itself on fast service whether dining in or taking out (717-879-9494). The Divine Swine hosts private parties and events on the second floor or across the street at the Anchor & Mermaid Tavern and is enjoying a growing off-site catering business. The full menu, daily specials and more details can be found at Divine-Swine-BBQ.com.